I thought of referring some of my favorite blogger friend’s work! And then bookmarked a few links out of it… Out of all those, I decided to go with Dassana’s (Veg Recipes of India) recipe! Believe me, she’s the one blogger whose work I found extra-ordinary… And what I love about her recipes is “Simplicity” – the way she instructs the making process is just ‘Easiest-to-follow’ :) I never got in touch with her before, but before drafting this post, I definitely asked her for allowing me to backlink her blog! 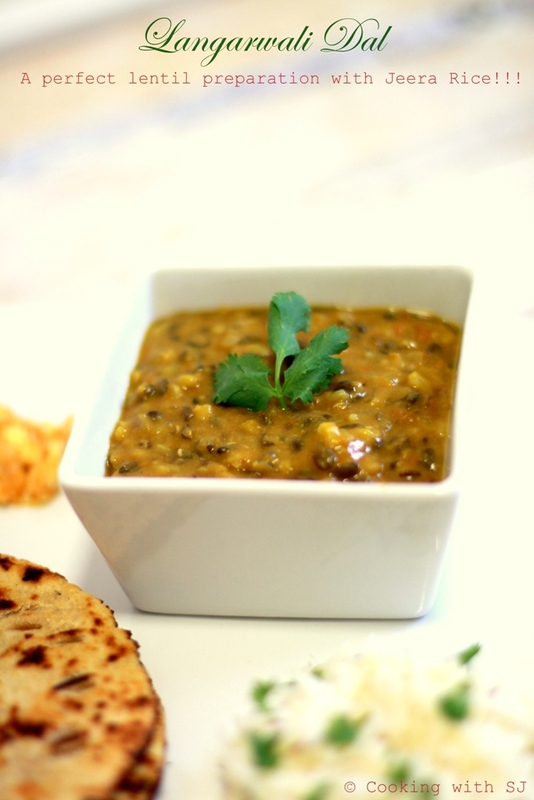 And since I made the same dal, I have been making it often! Hubby found it quite similar to the one he had before and I too loved it like anything :) Thank you so much, Dassana for such a lovely lentil preparation! Yet I altered her recipe a bit to adjust according to our taste; base recipe is similar though!!! Soak lentils in plenty of water for nearly 1-2 hours. Add half amount of ginger and garlic paste in pressure cooker along with lentils and a pinch of salt. And pressure-cook for 5 whistles or until they are a little mushy. Heat oil/ghee in a pad and and add remaining ginger-garlic paste and chopped onions. Saute for a while and add tomatoes. Cook tomatoes until they are soft and then add tomato puree, spices to cook for 2-3 mins. Add cooked lentils and mix everything well. Keep cooking on medium flame for 4-5 mins. Garnish with coriander leaves and serve hot with jeera rice or roti! 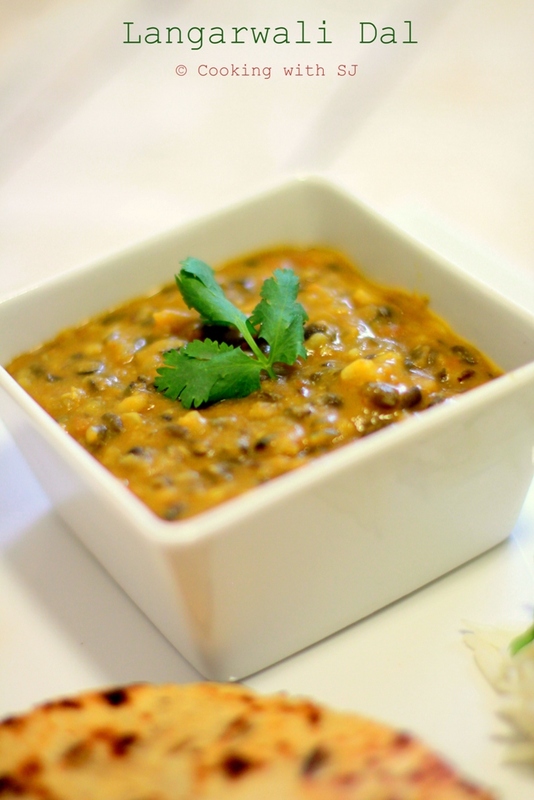 the dal looks scrumptious – just need some garam tandori roti to polish it off!!! Punjabis make so many yummy dals… And as is true of every religion, food served in the Langar at the Gurudwara is simple and divine.